I have some great freebies to help your coaching business thrive. Just click to sign up, then you’ll get an email with the link to the cheat sheet. You can print it out or download the pdf. Don’t launch your webinar / course in silence! Get your message out to the right people using the right platforms. You don’t need to be everywhere…just where your ideal clients are. Don’t be intimidated by sales funnels anymore! Sales Funnels Simplified is a 6 step system (yup, only 6 steps!) to get your sales funnel up and running. And you don’t need a fancy website to get started. You don’t need a website at all. 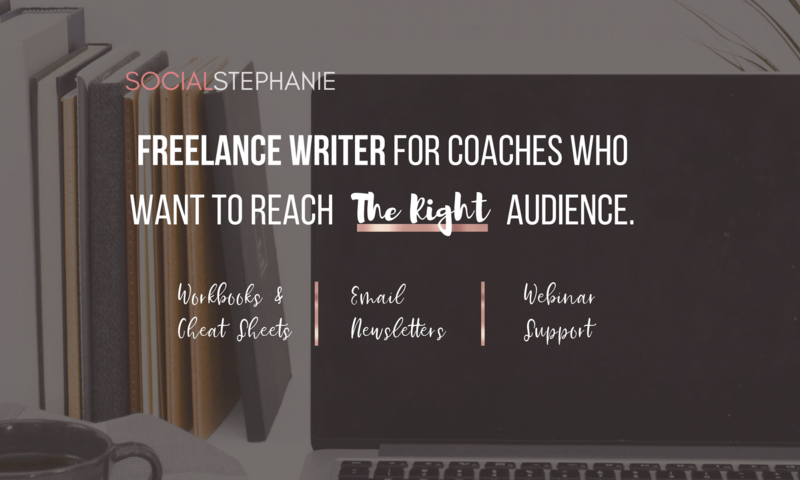 The cheat sheet is a companion to my blog post 6 Steps to Get Coaching Clients Before You Have a Website, so make sure you read though that too. Are your blog posts and newsletter topics all over the place? The Write With Purpose cheat sheet will help you focus in on your exact message, so that you attract the clients you’re meant to serve. Are you having trouble getting new clients?